One mile north of the North Bucks border is the village of Hartwell where my father’s family had lived for several generations. 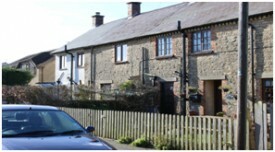 There were twelve cottages in Hillside, five on one side of the yard and seven on the other (older residents called it Maltings Yard which may mean it was originally part of a brewery). I was born at No 12 eighteen months before the declaration of WW2. 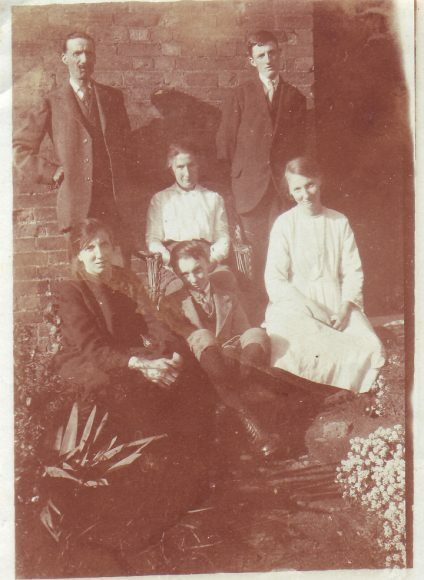 I was surrounded by family as five of the cottages were occupied by my dad’s brothers and sisters. 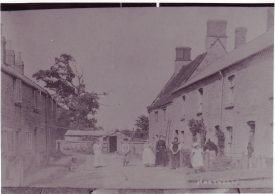 Most of the men living in the cottages worked as farm hands on local farms. 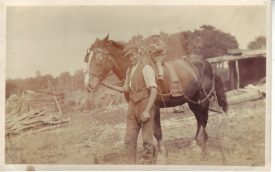 My dad’s eldest brother was a farm labourer. As he was 25 years older than my father, he became a surrogate grandfather to me and I spent a lot of time with him in his cottage. In his kitchen there was only room for a cupboard and a scrubbed, wooden table. The living room was furnished with a table and three chairs and a door opposite the black-leaded range closed off the stairs leading to two small bedrooms. There was no wall to wall carpeting in those days just cold flag-stone floors with a rag rug in front of the range. All water had to be carried from the wells; one outside No 3 for drinking water only (although it was still boiled before drinking) and the second well outside No 8 for everything else. The lavatories were at the far ends of the gardens and every Friday the week’s accumulated effluence had to be emptied. However, my grandparents managed to bring up a family of nine in this cottage! One of my first memories is starting school in the Village Hall because the Primary School was overcrowded when the evacuees from London arrived. I especially remember trying to keep warm in the draughty hall during the winter months when we sat huddled around the large stove and the milk bottles sat on the top of it to thaw out the frozen milk. I still cannot stand the smell of warm milk to this day. Anyone with a spare room had an evacuee billeted with them. Our next-door-neighbours took in two brothers, Ken and Donny, who came back to see them every year until they both died in the early 1990s. When the evacuees went back to London, we returned to the village school and remained there until we were fourteen. Most of us then either walked or cycled the two miles to Roade School for our last year. 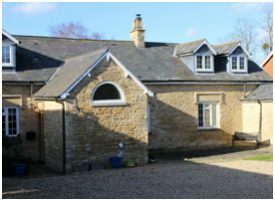 A few went to the grammar school at Northampton and one or two children, from wealthier families, were sent to the private school, ‘Salcey Lawn’ in the centre of Salcey Forest. Every summer holiday my mother and I would go by bus to Everdon Village, near Daventry, to spend a few days with her maternal parents. When I was older, my father and I would cycle there; we thought nothing of the four hour bike ride there and back. Some days I would walk to the local wood yard and watch my father making gates and hurdles for local farmers. He earned 30 shillings a week out of which 4/6d was paid for the rent of our cottage. Every August Bank Holiday ‘Strudwick’s Fair’ came and set up on the field next to the church. I spent most of my money on the round-a-bout. I still remember the music and the joy of riding up and down on the horses. As the clocks were put forward, two hours every summer during the war the evenings seemed to stretch forever. There were very few evenings when we were not out either playing cricket, football or a London favourite, ‘tin- can Tommy’ (taught to us by the evacuees), or going to the ‘Young Farmer’s Club for talks on local subjects or having competitions. At the end of summer we would spend time in the evenings or weekends, in the fields, watching the Binders cutting the corn and the farmers shooting the rabbits as they ran for cover. The smell of rabbit stew always made my mouth water. When I left school I worked at the RAF maintenance Unit in Salcey Forest until I received my calling up papers for National Service, most of which was spent in Germany. 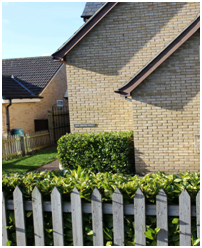 On my return in 1959, everything for me had changed; the RAF Unit had closed down and the original residents of Hillside had been evicted by new owners and re-housed in Council Houses in other parts of the village. Our small, close-knit community had been broken up! Looking back down the years, these were hard times, compared to now, but they were certainly very happy ones for us children.